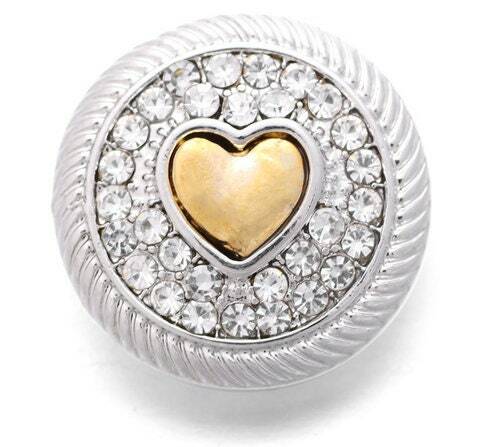 Stunning silver rhinestone snap with gold heart Interchangeable Snap. This snap is absolutely stunning! It can be paired with either gold are silver plated base pieces, which makes it an excellent transitional multi-purpose piece. All of our snaps are compatible with all of the base pieces in our shop. Step 2: Select Your Snap - silver or gold colored. Step 3: Wear Your Studio66 LLC Snap Jewelry and Enjoy! 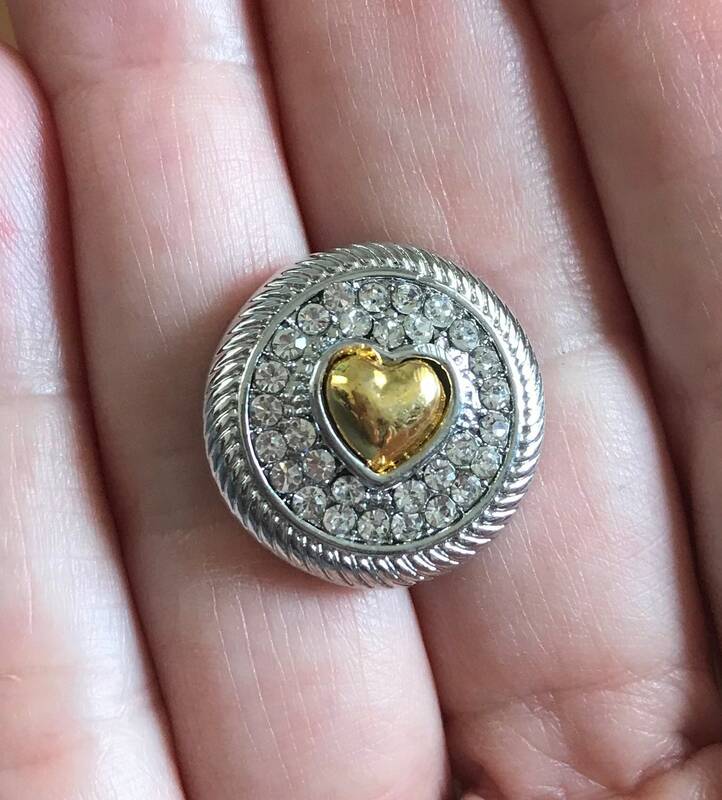 Our pieces are high-quality and are interchangeable with standerd 18mm snap jewelry, such as Ginger Snaps, Magnolia and Vine, Noosa and Chunk jewelry.